Now...if this had been a short story, I think it would have been better, but alas...it was a huge book. WAY too huge for my liking. The story is about a small-ish town politician who suddenly dies out of the blue and it follows reactions from random people and the impact of a vacant seat in government in politics. Many people were connected to the guy Barry in huge ways, some not soo much. It was enough to make me want to gouge my eyes out!!!! 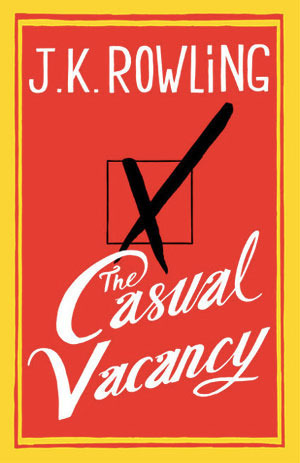 It was boring, I did not connect to a single character, and it seemed like Rowling tried too hard to sound sophisticated and all adult-ish. The thing is...Rowling is an amazing writer! She really didn't have to try so hard! Let your natural voice take wing and fly! She went from the fantasy world of Harry Potter to the dry, no-one cares, politician novel that flunks at causing any sort of emotion. 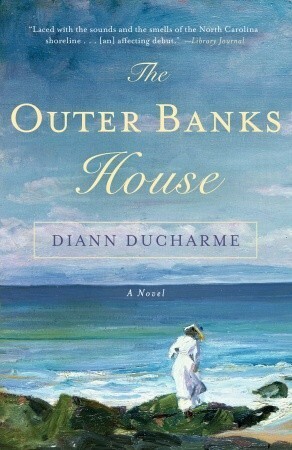 It's a people tale, but there is no way to connect with anyone, because she jumps onto the next POV within a couple of pages. *sighs* A hot, boring, mess that made me almost fall asleep. I'll admit the first chapter was interesting and I actually wish that the politician had gotten more spotlight. I really wanted to learn more about him and his family! I did feel horrible for the wife, because they had been in a strained relationship and they never got to resolve their issues. It was a bummer that he died and she was racked with such guilt and self-hate. Poor chit. Now...if the story stayed with her and maybe one or two other people then this would have worked out pretty good! Just too much going on in a boring way. Sad. In the end, I say run from this book if you are a Rowling fan. It is not her best work. She needs to try again and not try so hard. This book had too many POVs and a dry as toast story. What a bummer. I blame Reece for making me read this monstrosity of boringness. ;) Out of five stars, I stamp this with 1 star. If I could go lower I totally would. Can't win them all. I liked this one, it wasn't awesome or else but it was interesting. sorry it didn't work for you. She went from the fantasy world of Harry Potter to the dry, no-one cares, politician novel that flunks at causing any sort of emotion. AMEN to that. What's more the fact that the marketing campaign around that book was so strangely similar to HP releases made me really angry. And she dared publish it under her own name knowing pretty well that plenty of people would buy it just because it is another JKR novel and expect some MAGIC. There's no magic in this one. Melliane, I think I would have liked it better if it was shorter. Ana, I am glad that you liked my quote! But it was simply a marketing tool and many people fell for it expecting the same magical turn.